Every sport must have one I suppose. Something or someone who, despite having all of the requisite pieces to succeed it seems, somehow fails persistently to assemble it all correctly to the end of actually getting the results. And in F1, dear reader, I give you Mercedes. The Mercedes brand is one of the strongest in the world, and not just in motoring. It is a marque with an exemplary heritage in F1 and in motorsport more widely. Its Grand Prix effort is a properly-funded manufacturer outfit, it took over the champion constructor at the end of 2009, and is headed up by one of the finest brains in the sport. And yet success since has been meagre, and the trajectory over time has if anything been downward rather than upward. About the only thing it has accumulated consistently over this time is excuses. In 2010 Mercedes team principal Ross Brawn could point to the necessary 40% cuts of the Brawn staff during the previous season, which hampered development of the 2010 machine. In 2011 the car was fundamentally flawed, mainly down to a too-short wheelbase which was in turn related to the team not foreseeing the potential of aggressive exhaust blowing of diffusers. Last year, for a short time, it looked like Merc would finally make its breakthrough, challenging for pole in each of the first three rounds, and winning the race in round three (its first F1 triumph since 1955), and all the while boasting what looked like being the year's big thing in the Double DRS system. But it was all an illusion, Mercedes then slipped down the order rapidly. 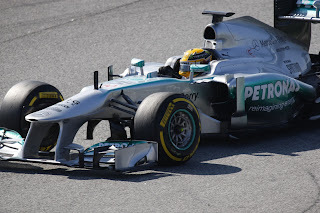 The W03, just like its predecessors, had fundamental flaws, chewing its rear tyres and having an extremely narrow operating window, needing cool temperatures and/or a track requiring quick tyre warm-up, plus a layout with short corners needing good direction change and where tyre wear is less critical. These were broadly the case in China and Monaco, where the car was devastating. But if these things didn't come together - which was broadly the case everywhere else - then the W03 was in trouble. And the Double DRS rather than a breakthrough became a millstone: apparently making conventional development to the front and rear wings much harder as well as slowed up front wing downforce reattachment after the DRS was closed. By the end of the year the Mercs were consistent midfield runners, and the team finished a distant fifth in the constructors' standings, barely ahead of Sauber. This year we have the latest chapter in Mercedes GP's curious case. And in fairness to all concerned, they are not asleep at the wheel, and over the winter the team undertook its latest round of personnel changes in an attempt to achieve the success which has eluded it. Norbert Haug is out, with Niki Lauda and Toto Wolff in. You could argue that such a bucket of cold water is exactly what the team needs, but many believe instead that it appears all rather chaotic, and reminiscent of Ferrari in its bad old days. And while its ability to head hunt big names from elsewhere is indeed impressive, is there also not virtue in continuity, of giving changes time to bed and to let plans come to fruition? And what about the changes themselves? Niki Lauda may be 'non-executive chairman', but it's not in his nature to defer, and his record in F1 management is not a glowing one. Further, quite what the division of labour is between Lauda, Brawn, Wolff and Nick Fry is not clear. For a while now, many have bemoaned 'too many chiefs, not enough Indians' in the Mercedes technical department, is the team now making the same mistake in its management? The long-term future of Fry has some mystery surrounding it, and conspicuously Brawn admitted recently that he's not yet ready to commit to Mercedes long-term either (hence why the team was caught sounding out Paddy Lowe). One change that cannot be questioned is that of acquiring Lewis Hamilton, which is a major coup. Lewis is from the very top drawer of driving talent, and Mercedes can be content that every time he takes the car out he will drive the thing as fast as it is possible for it to go (and perhaps even faster than that). But the flip side is that the team now has nowhere to hide; the glare from outside to provide a car worthy of Lewis's talents will be intense. And given the persistence with which Mercedes has got it wrong it makes you wonder if there is something fundamentally amiss at that team. As intimated, with no fewer than four ex-technical directors on its books some wonder about 'too many chiefs, not enough Indians' in the technical department. Indeed, rumours swirled in late 2012 that no one in the team's technical department was taking the lead on anything. Further, that the team seemed especially slow on the uptake in 2012 with the de rigueur Coanda exhausts, and even when it did run them never got them to work, doesn't reflect well. And do the fundamental problems go deeper? The Brackley squad under its various guises - BAR, Honda - has aside from brief exceptions amounted to less than the sum of its parts persistently. This year's W04 on track in testing so far hasn't given us many clues either way. It didn't really knock anyone out at its launch (though Gary Anderson noted that, unlike the W03, there does appear to be room for development). The car hasn't looked the best out on track, with Lewis Hamilton perhaps letting the cat out of the bag when he commented that his McLaren last year had more downforce. Things looked a bit more promising in the second test, and Nico Rosberg was complimentary about the team's rate of development. But the consensus remains that, while the car isn't a disaster, it won't be challenging for wins any time soon either. Hamilton has said that top 10 on the grid in Melbourne will be a good result. Mercedes does have the comfort though that many in the team, Hamilton included, are looking towards the 2014 season rule changes, particularly on engines, as Mercedes's salvation. So to some extent time is on its side. Jam tomorrow for Mercedes. Where have I heard that one before? 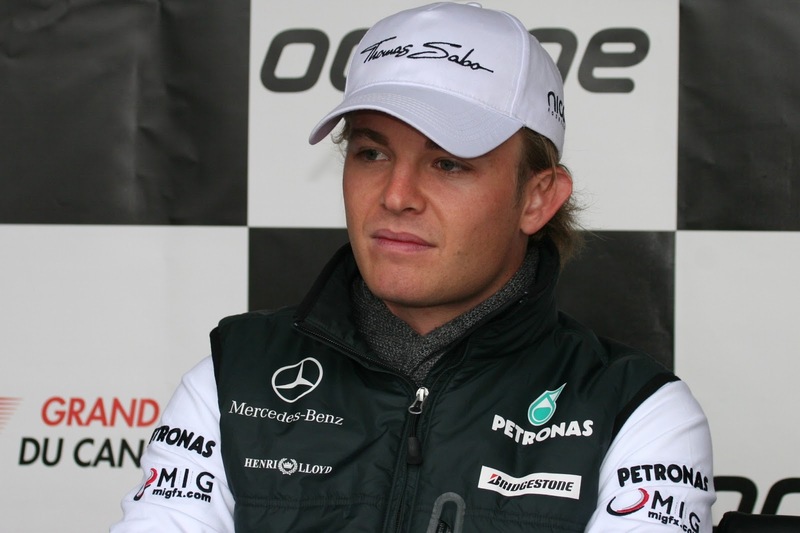 The 2013 season should at the very least give us an answer to one of modern F1's most enduring questions: just how good is Nico Rosberg? Nico has his fans, some rate him very highly and reckon, rather as was the case for Jenson Button for years, that he only needs to get his hands on a strong car to demonstrate his prowess. Yet, due to circumstance, us watching on have never been able to draw firm conclusions about him. For the most part Rosberg has been in under performing machinery, and only in his debut year, way back in 2006, did he have a clear yardstick as his team mate (and Mark Webber got the clear upper hand then). Even though 2012 contained Rosberg's debut F1 win, if anything his reputation took a bit of a hit over the piece. The W03 was no car for him to show his skills in of course, but Rosberg had four genuine shots at pole position in it and only took one of them, fluffing his vital lap in Australian and in Malaysia as well as not matching Webber's time (as his team mate Michael Schumacher had managed) in Monaco. Further, what gap there had been between him and Schumi in qualifying and the races all but disappeared last season. In the year's mid-part in particular Schumi seemed to show much more stomach for the fight. Did this represent a improvement by Schumi, or did Nico let things slip a little? Perhaps given the regularity with which the Mercedes team has let him down Nico would be forgiven if he had let things slip. But whatever the case he'll need to summon up all of his energies for the 2013 campaign, facing as he does a very public comparison with none other than Lewis Hamilton. While intra-team fireworks should be avoided given he and Lewis go way back, Nico's position seems somewhat invidious as most believe that he'll come up short in that duel. But Nico will not be deferring any more than he did to Schumi, and Jenson Button has demonstrated that it is possible to improve your reputation while sharing a team with Lewis. Achieving similar seems Rosberg's best hope. Career calls barely get more audacious. Lewis Hamilton has rolled the dice, fleeing his McLaren nest to throw his lot in with Mercedes, a team hardly with a cast-iron record of success. 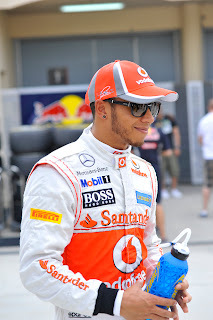 Debates will continue to rage no doubt as to what inspired the move, but it seems most likely that Lewis, for whatever reason, was determined to leave the McLaren team that he'd been at since the age of 13 and prove himself 'on his own' as it were, rather like the kid who grew up and left home. It's also clear that Lewis views his Mercedes hook-up as a long term project; he like the team seems to be looking more to 2014 than 2013 and in interviews he's drawn many parallels between his Merc move and that of Michael Schumacher joining Ferrari in 1996. Certainly, as was the case with Schumi then, the sporting challenge of building up an underachieving yet well-resourced squad and the opportunity to make a team very much his team were tempting. And while Lewis's talents at the wheel are not in question, in such an exercise as this he'll need to show skills elsewhere, those of patience, persistence, to bite his tongue when he feels frustrated and provide a figure head presence from which the team can draw motivation (and avoid the PR clangers of the past that we're all well aware of). It could well all be the making of him. And the noises he's made in interviews since the end of last season seem to hint at a more mature figure than the one seen before. Lewis almost certainly has more natural talent than any other driver in F1, and in 2012 we saw him back to his very best, perhaps finally surpassing the canvas of his debut year. And for 2013 we can at the very least expect him to fight hard and to get the car into places it doesn't deserve to be. Jenson Button when asked about what Mercedes and Rosberg can expect from Lewis, said that more than anything else they'll be astounded by Lewis's ability to get performance from a car that isn't working well. And should the door of opportunity for a strong result ever open slightly, such as in a wet race or at Monaco where he's always excelled, you suspect that Lewis will stride through it. And, just perhaps, the talk of risk to Lewis's career is overstated. Even if the sojourn is a disaster at the end of his three-year Mercedes deal he'll still only be 31, and still in demand presumably. The worst case scenario doesn't seem an awful one. There's a thin line between madness and genius as they say, and in a couple of years time we'll be able to assess which side of the line Lewis's career call falls on. Whatever the case, watching what happens from here will be fascinating.